The current ideals of the Asylum layout can be attributed to Peter Cracknell who carried out a study in 2004. 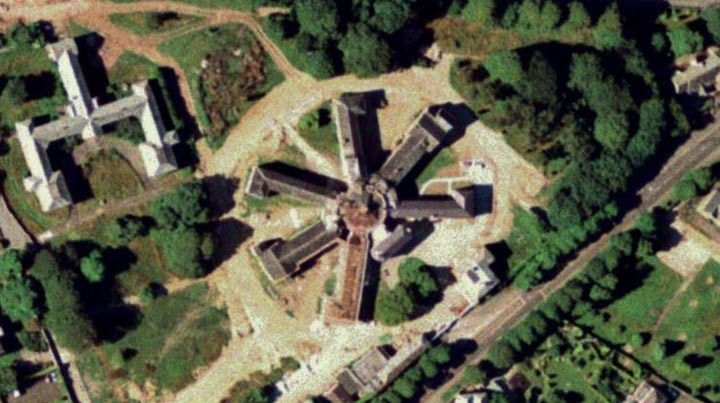 The Radial Plan saw the long wings of the Asylum radiate outwards from a central point, thus reflecting the style of prisons of that era. This style was considered inhumane even in its day due to the lack of natural light, circulation of air and space for airing courts. It was only really implemented in the south east and there were only two examples built. 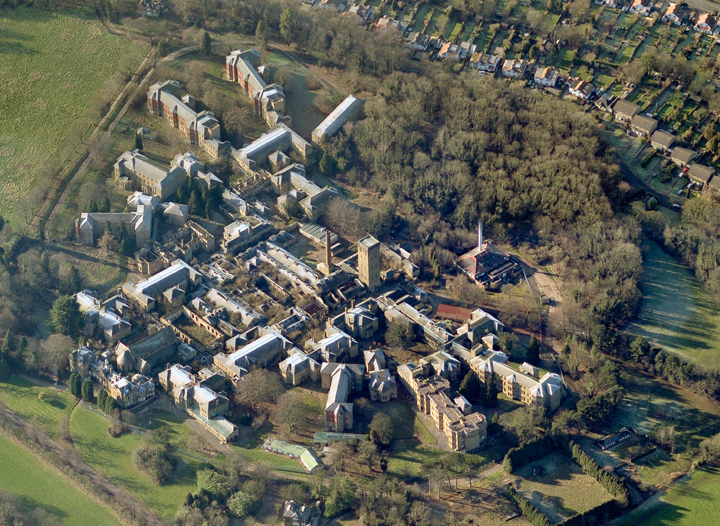 The Corridor Plan was a long running style of Asylum layout primarily used between 1830 and 1890; they are laid out with the administration block at the centre of the site with the wards flanking it on either side. This allowed for the easy segregation of the sexes and it also aided in the ease of communication throughout the Asylum. 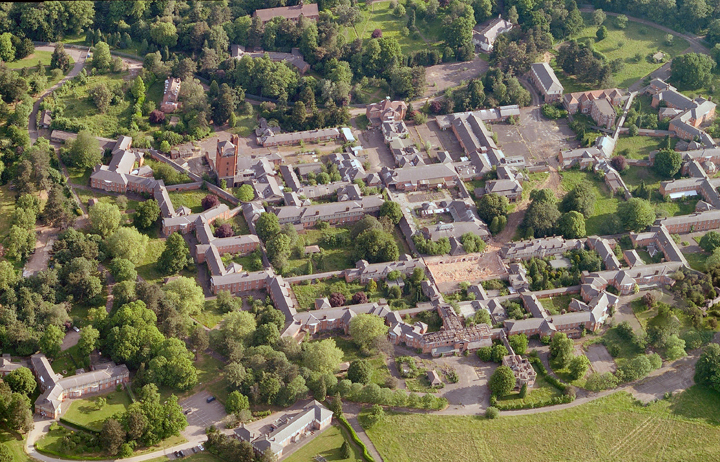 This layout varies throughout its lifetime, some buildings such as Stone House has the wards based around the main corridor and followed a linear layout. 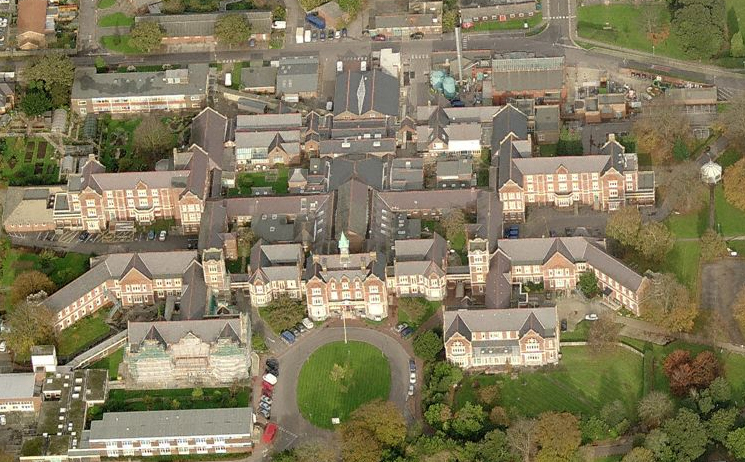 Others such as St Johns did not follow such a linear corridor and instead it spread around the central services. 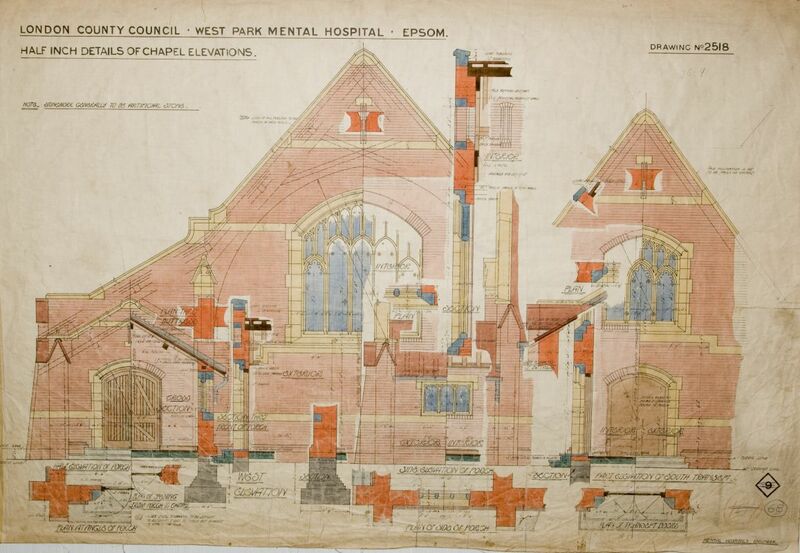 The pavilion plan consisted of a long linear corridor extending either side of the administration block, the ward blocks were orientated perpendicular to the corridor and attached at their ends; the stores/water tower could located centrally or remotely. 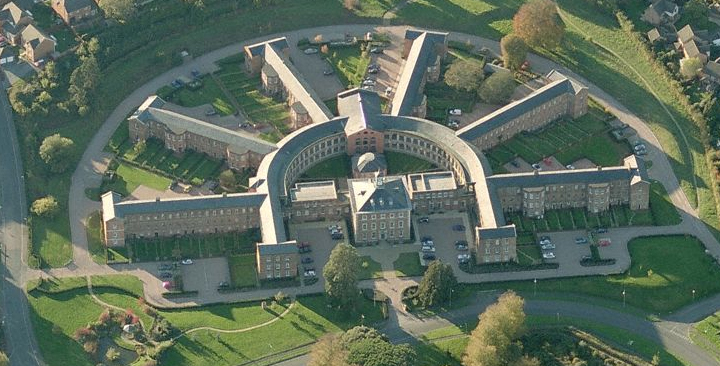 There were only a few of these examples built around the country, but Hellesdon Hospital & the Annexe at Lancaster Moor resemble how the layout would have looked. 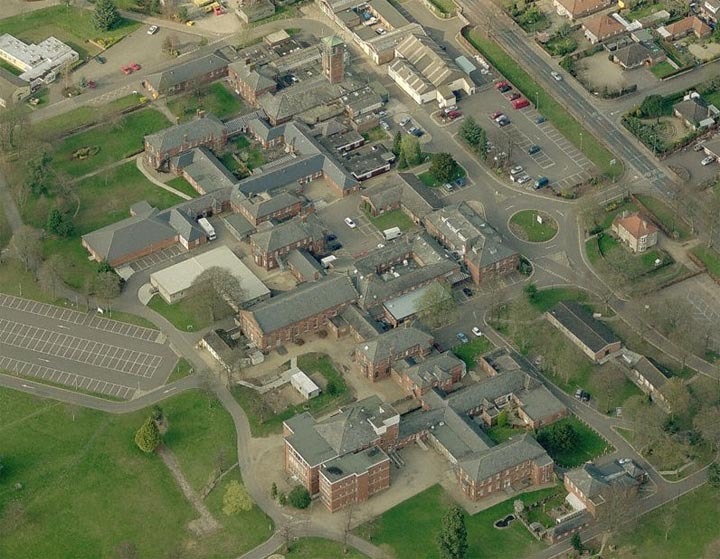 The Dual Pavilion consisted of the administration and services blocks flanked by long corridors, which in turn were flanked by the ward blocks. This design was intended to make the segregation of difficult cases easy; however due to the large size it made their operation difficult. 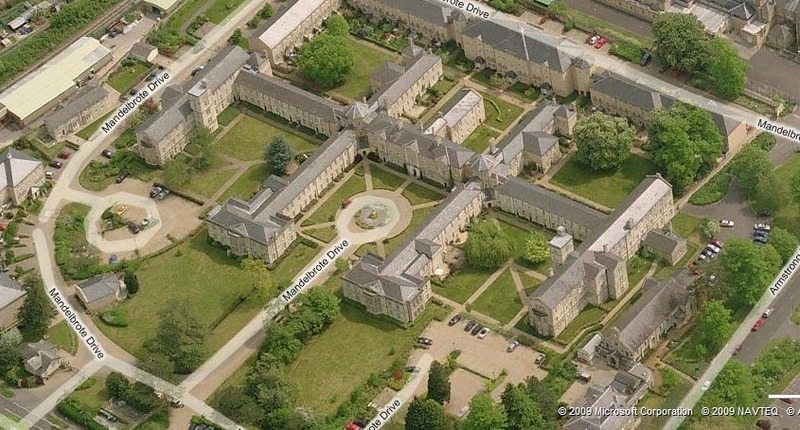 This was a rare layout for an asylum, it was the intermediate between the Pavilion plan and the Echelon plan; it consisted of a semi-circular corridor with the blocks on the outside and the services in the middle. There were only two examples of this type of asylum built through the country. This was the earlier form of the echelon plan, it consisted of all the services and wards being spread out across a large site. It was essentially a set up of the pavilion blocks interconnect with short corridors which came off a larger main corridor. 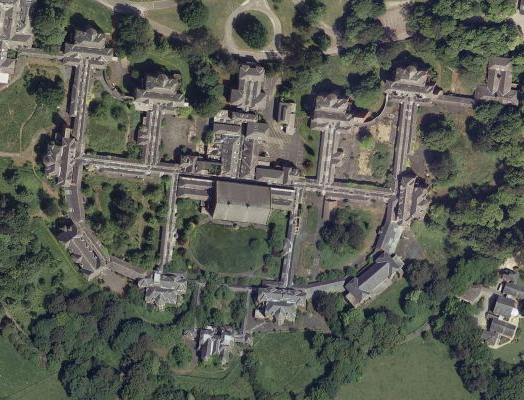 There were only two examples of this layout being built, with only one reaching full completion, High Royds in Menston – which predates the layout at Claybury by three years. 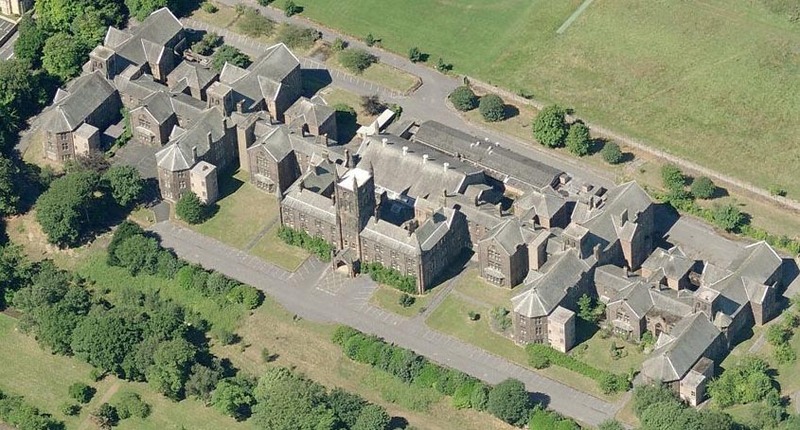 This was the plan that revolutionised the design and construction of asylums throughout the UK as it was the most practicable type; it led GT Hine to become the most accomplished of all the asylum architects. 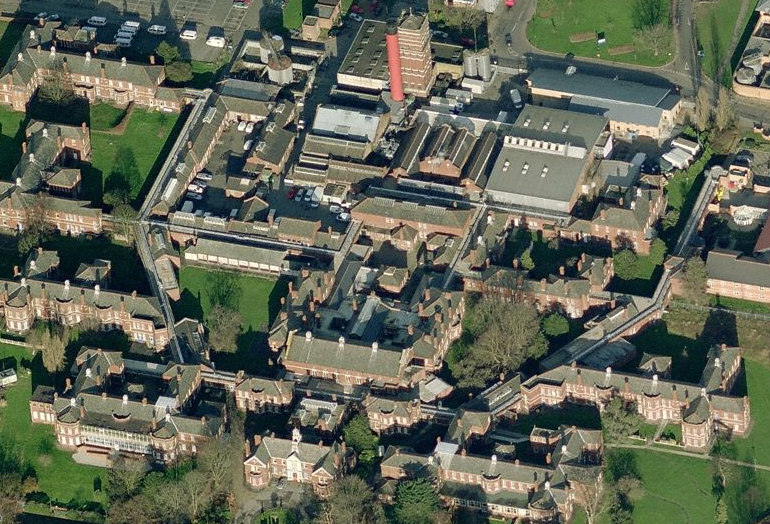 Its design kept the long corridors of the Broad Arrow plan, but the wards were moved closer to it, removing the shorter unnecessary corridors; the services were still central to the asylum site. It also gave the asylum a light and airy feel to it, which was important to the Mental Health regime. There were two types of the Compact Arrow plan, one where the wards where set away from the corridors as Pavilion type ward blocks. 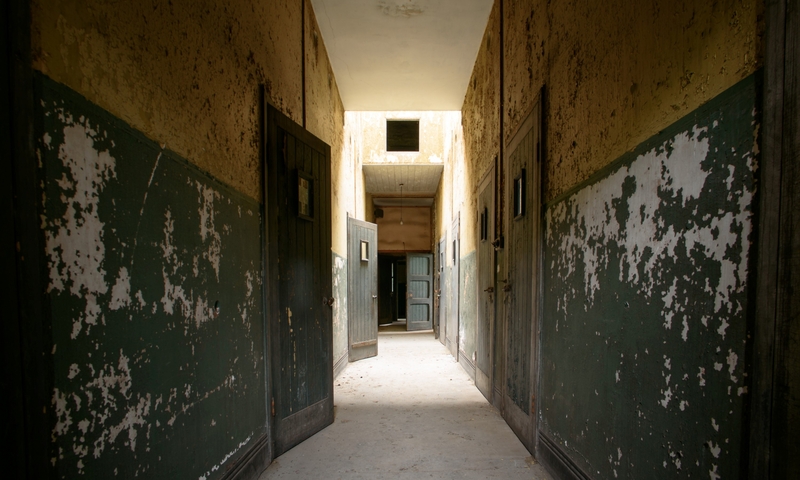 The other was where the wards were all conjoined, to form one large building – this allowed for staff to move very quickly through the buildings – the differences can be seen below. 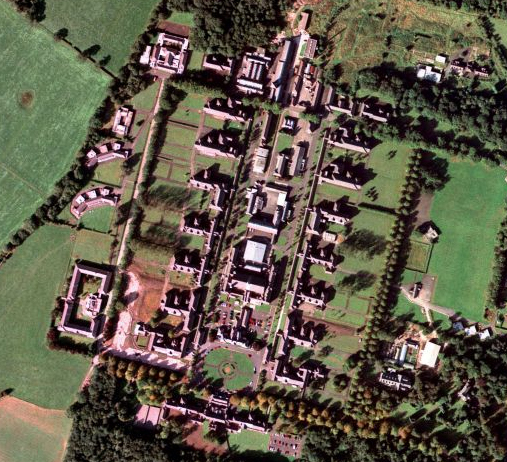 Later examples of the Compact Arrow plan also included villas on the outskirts of the asylum for epileptic and chronic cases; this led to the further development of the colony layout with open corridors.